It can automatically project an 80 inch screen from a distance of 3 meters. Tipron’s projector unit can adjust roll, pitch and yaw and features keystone correction so you can project distortion free images and videos to any place on a wall or ceiling. The built in speaker allows you to watch videos without the need for any additional hardware. Tipron can automatically project content you’d like to see such as movies or pictures on an 80 inch screen not only on a wall, but also on a floor or ceiling at any angle from a distance of 3 meters. Automatically adjust the projection quality to view a perfect image with “keystone correction” and “auto focus” features. The features enable Tipron to automatically correct and adjust the image to the optimum visual quality even if the image is projected obliquely or the projection screen is distorted. A built-in 5W speaker means you don’t need external speakers to enjoy video content such as movies, TV shows and music videos. The HDMI (HDCP compatible) port on Tipron’s body enables you play content from external media devices such as DVD or Blu-ray disk players, smartphones or game consoles. That means you can enjoy copyright-protected content such as movies, music and games, as well as video streaming services. Tipron supports playback of movies and display of images from PDF files saved on an USB memory stick. It is also possible to loop saved videos or images for continuous playback. Power can be supplied to devices via the USB port. This allows wireless streaming devices such as Chromecast to be connected without the need for a separate power source or any extra cables. Internet connectivity allows Tipron play and project YouTube via its internal player. You can also schedule YouTube videos to play at the times you choose. Using the built-in RSS reader function, it is easy to display information such as news, weather forecasts and Twitter feeds. The news can also be set to scroll automatically. Tipron returns to it’s charging station automatically and starts charging himself after finishing all scheduled actions. He can also return to recharge when his battery is low*1. *1 Only supported when operating in scheduled mode. When projecting away from the charging station, the internal battery allows Tipron to operate for 2 hours. By adding a second battery (sold separately) Tipron can operate for approx. 4 hours with needing to recharge*2. *2 When brightness is 50%. If brightness is 100% operating time will be 3 hours. Approx. 4 hours (with two batteries) / Approx. 2 hours (per battery) * When brightness is 50%. If brightness is 100% operating time will be 3 hours. LiveWedge is a 1080/60p video switcher/mixer with 4x HDMI inputs and the ability to broadcast live video simultaneously via the Internet. It can be controlled with an iOS or Android tablet via the user friendly control app. Video PinP and chroma key composition are supported as well as standard wipe, fade and cut transitions. The LiveWedge app allows you to easily control all LiveWedge functions via a user friendly interface. The unique rotary control option in the app allows for precise transition mixing. LiveWedge supports PinP (Picture in Picture) and chroma key compositing as well as all basic transitions such as wipe, fade and cut. A switcher, mixer and a recorder in a small form factor,Livewedge has a SD card slot to record* up to 720/30p (H.264) Full HD Video while switching! You can also use images from the SD card as a video source. Broadcasting functionality is built into LiveWedge. 720/30p HD Live streaming and 1080p HD video switching are available in one device! The main streaming platforms including Ustream and Youtube Live and the ability to use your own servers are supported. In addition to video mixing via the 4 HDMI inputs, the LiveWedge also supports audio mixing via its built in audio mixer. An AUX-IN port as well as the 4 HDMI inputs are available for up to 5 input audio mixing. LiveShell X is an innovative live broadcast streaming device with HDMI input encoding at up to 1080/60p in H.265 and recording to a microSD card, all without a PC. It also supports simultaneous multi-streaming and the ability to add subtitles and lower thirds. LiveShell X provides stable, professional quality streaming. Designed for professional quality broadcasting. LiveShell X enables you to stream live video and audio without a PC. Supporting H.265/H.264 live encoding at up to 1080/60p, real-time recording via micro-SD and multi-casting with up to 3 simultaneous streams, LiveShell X is designed for professional quality broadcasting. When using a PC or smartphone to live stream video, stability and portability or battery life all can cause issues with live streaming performance. Using LiveShell X ensures a stable, reliable stream without the need for additional hardware. Stream 24/7 with AC power or for up to 6 hours using LiveShell X’s high capacity internal battery. LiveShell X supports streaming at up to 1080/60p, enabling professional quality video. In addition, with support for the latest H.265 video codec you can broadcast at same quality video as H.264 at half the bit rate or using the same bit rate as H.264 with twice the video quality. LiveShell X can also use H.264 encoding to ensure compatibility with existing streaming services. LiveShell X’s high capacity battery doubles the streaming time from previous LiveShell devices, giving up to 6 hours of continuous operating time when fully charged. Its auto power switching feature means that if the AC adapter is disconnected while live streaming LiveShell X will switch to battery power automatically without interrupting the broadcast. The metal case and compact size bring durability and portability so you never have to worry about needing additional heavy equipment when you want to go live. With M4 and 1/4-20 UNC mounting options, LiveShell X can be attached to cameras using a shoe mount giving you an extremely portable all-in-one filming, recording and broadcasting solution. Combining LiveShell X with LiveWedge gives you a 4 HDMI input 1080/60p mixer and switcher along with the ability to output 720p video to 3 seperate streaming services and record 1080p video. You can also stream to a single service at 1080/60p giving you a Full HD 1080/60p live video production suite from video capture all the way to final output. The LiveShell PRO is a mid-range wireless video streamer. Video and audio is encoded in H.264 and AAC at 720p resolution and up to 10 Mbps bit rate. The replaceable, rechargeable battery allows you to broadcast from anywhere with an internet connection. Using the latest video and audio compression technology, LiveShell PRO offers high quality live broadcasting encoded in H.264 AAC, with a resolution of 720p and a bitrate of up to 10 mbps. H.264 high, main and baseline profiles are supported. With LiveShell PRO it becomes easier to reach your audience as broadcasting can now be done on iOS devices and well as Android devices and PCs. Control LiveShell PRO remotely via its web application “Dashboard”. With Dashboard, volume adjustments, captions, video quality adjustments and more can be done on the fly without having to stop broadcasting. Dashboard is web based so requires no installation and works not only with your computer but also with your Android or iOS devices too. By default LiveShell PRO automatically adjusts the stream frame rate and image quality. User controlled options are also available for advanced users. You can adjust the aspect ratio of the broadcast video to suit your needs. This feature is available for both 4:3 and 16:9 cameras. Enable captions using your computer, tablet or smartphone via LiveShell PRO’s Dashboard. Enter the captions and see them displayed live. The captions size, color, background color, position and other settings can be changed via Dashboard. You can also upload your own image and have it displayed instead of your captions. LiveShell PRO works perfectly with cameras that have HDMI or composite out. Up to 3 different audio inputs are available: one stereo microphone input for computer microphones, one line input terminal that can be used with a line level input and one HDMI audio input for the camera’s microphone. The 3 different audio inputs can be individually controlled and mixed by LiveShell PRO before being broadcast. Simple audio mixes such as BGM playing while you add a vocal input via a microphone can be done without needing additional devices. Streaming services such as Ustream, YouTube Live, Akamai and Limelight are supported. When using Ustream you can use “Dashboard” to turn on or off the server side recording. You can also do live streams through your own server, if your server supports RTMP broadcasting. LiveShell has been tested to work on AdobeMediaServer, Wowza and Red5 servers. *LiveShell and LiveShell PRO does not support New Livestream(new.livestream.com). As a device aimed towards professional users, having a rechargeable, replaceable battery is an essential feature. The Liveshell PRO has an easy to remove, rechargeable LI-ion battery that provides up to 3 hours of broadcasting time. For live broadcasts longer than 3 hours, extra batteries are available to purchase. The successor to “LiveShell”, Cerevo’s highly regarded live streaming device that was first released in 2011. This model retains the compact and portable design of its predecessor while adding support for HD streaming. Live streaming is possible via wired LAN or WiFi (IEEE 802.11 a/b/g/n/ac). The addition of 5GHz Wi-Fi support means stable streaming is possible even in bandwidth-congested areas. Just connect your camcorder to LiveShell 2 via HDMI to go live and broadcast to YouTube Live, Ustream and RTMP servers. The “Dashboard” live streaming control panel can be controlled using your smartphone. Control LiveShell 2 remotely via its web application “Dashboard”. With Dashboard, volume adjustments, captions, video quality adjustments and more can be made without having to stop broadcasting. LiveShell 2 features professional quality live streaming encoded in H.264 AAC, with a resolution of 720p and a bitrate of up to 10 Mbps. Almost as light as your smartphone and measuring only 78mm x 113mm x 25mm. LiveShell 2 is small enough that you don’t have to worry about taking it with you to live stream wherever you are. With a built in rechargeable battery that allows you to broadcast for 3.3 hours via either ethernet or the included 5GHz Wi-Fi, live streaming in any location is possible. SNOW-1 are smartphone-connected snowboard bindings with a Bluetooth 4.0 module and various sensors that can measure a snowboarder’s weight balance, snowboard flex and other data in real time. The SNOW-1 smart snowboard bindings are the first product in the XON series. They can record, visualize and analyze your ride with real time tracking data displayed via the graphical UI of the XON smartphone app. Add a new dimension to your rides and improve your skills with XON SNOW-1. With XON SNOW-1, 5 independent sensors can capture 13 different points of data. The load balance sensors embedded into the soles of each binding record one of the most important factors in snowboarding, two flex sensors that are attached to the board are able to detect board deflection. Furthermore acceleration, angular velocity, geomagnetism sensors are able to detect the rider’s position and direction. You can connect the XON bindings to a smartphone easily via Bluetooth 4.0, real time tracking data is then visualized in the XON app, allowing you to get tips to improve your riding in real time. By using the GPS function in your smart phone, the XON app can map your riding route. Route speed, acceleration level and gradient will be displayed with a high degree of accuracy. The extensive log data will allow you to look back over your ride history and compare performance. The XON bindings have ultra-high brightness LEDs built into the heel and toe. Light levels will respond to the load level sensors in each binding. You can also activate the LEDs to create impressive light trail effects in your dusk riding videos. It’s possible to overlay sensor data onto a riding video shot using the XON app video mode. Being able to visualize your riding and sensor data simultaneously on-screen gives a new perspective to snowboarding. Available for DEMO at Ski Dubai – Mall Of Emirates – Dubai, U.A.E. The Dominator gun is a Proplica from the hit anime Psycho-Pass. The DOMINATOR features authentic voice and sound effects and a fully mechanized Eliminator mode. This product has been created under the supervision of Production I.G director Naoyoshi Shiotani and Nitroplus designer Makoto Ishiwata. DOMINATOR features characteristics identical to the devices seen in PSYCHO-PASS such as automatic transformation, voice-over and sound effects, authentic LED lighting, touch sensor activation, Crime Coefficient analysis and more. 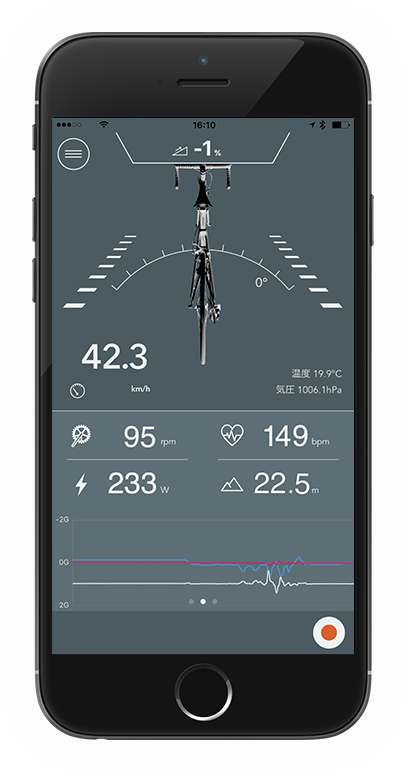 RIDE-1 has 9 different internal sensors to monitor a variety of cycling parameters and with RIDE-1’s telemetry function, environment data, cycling dynamics, GPS distance information and the route data can displayed in real time on the companion smartphone app. RIDE-1 has 7 different internal sensors and it can connect with existing sensors via ANT+, e.g. cadence, heart-rate etc. 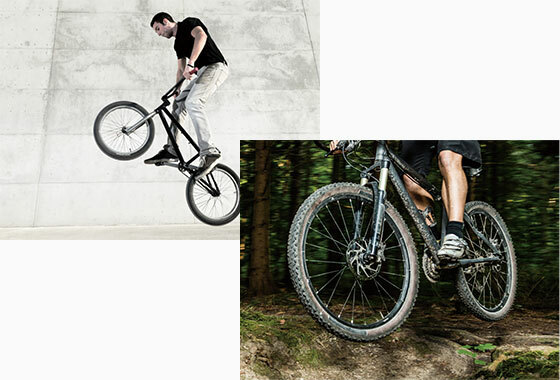 Overlay recorded data onto captured movies and study them to master more BMX tricks or challenge yourself to improve your downhill MTB times. RIDE-1 is Bluetooth enabled, so you can connect your bike to the Internet via your smartphone’s 3G or 4G connection. You can monitor data in real-time data from the built in sensors at a remote place such as the circuit pit lane. Enabling your team to control the rider’s pace and modify race strategies based on the data being received.